We are true suppliers of LED head lamp. They are made using latest technology and superior raw materials. They are made according to the international industrial standards. They are strictly checked by our professionals in order to have smooth dealings. Developed and Supplied for ARJUN Tank. The TRIDENT headlamp with elastic adjustable head strap features three (3) ultra bright white 100, 000 hour life LEDs and a Xenon Bulb within the same reflector. Offers 3 position lighting - Xenon bulb, one (1) LED or multiple LEDs. The Xenon lamp offers spot-to-flood focus. 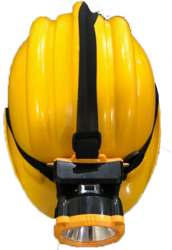 Package includes rubber hard hat strap. We are a manufacturer for LED headlights and LED headlights with binoculars loop. The LED headlights give a great white field for viewing the operation field and good illumination it comes with rechargeable battery and adapter. We also have LED headlights with binoculars loop with magnification of 2x and 3x magnification. With rich industry experience & knowledge, we have been able to provide the best array of Head Lamp. 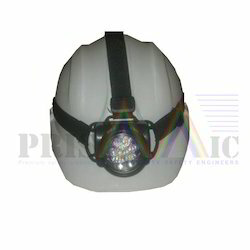 Owing to the rich industrial experience and expertise in this domain indulged in offering Hazardous Location Headlamp. This Hazardous Location Headlamp (DUO ATEX LED 5 E61 L5 2) is extensively demanded in different mining industries. At most affordable rate, customers can avail this product from us.